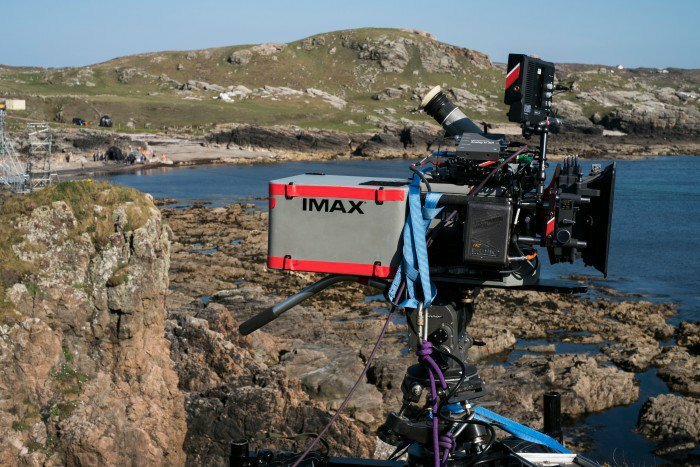 In this new era of Star Wars films, the new Star Wars filmmakers have been making use of the IMAX cameras to shoot specific sequences for their films. JJ Abrams shot the Millinnium Falcon's escape from Jakku in The Force Awakens with IMAX cameras and now it's been announced that Rian Johnson shot scenes from the upcoming Star Wars: The Last Jedi with the high resolution cameras. This comes from and announcement by Disney and IMAX that they are extending their longstanding deal through 2019. Another factor in this announcement is that other upcoming Star Wars films will also feature IMAX sequences, including Phil Lord and Chris Miller's young Han Solo film (which is currently in production) and Colin Trevorrow's Star Wars Episode IX (currently in pre-production). They join a large slate of other Disney films, including Black Panther, Captain Marvel, Mulan, and the upcoming Indiana Jones sequel that will feature IMAX sequences. It seems inevitable that we will see an entire Star Wars film shot on IMAX cameras. Marvel's The Avengers: Infinity War was shot entirely using the format. Similarly, Episode IX will entirely be shot using 65mm film. Should Disney and IMAX's deal be extended again beyond 2019, perhaps then we'll get an entirely IMAX shot Star Wars film.